Many marketers using Thankster know how effective a handwritten card can be with building customer relationships. The personal touch cards bring yield happy customers and high conversion rates. Recently, Thankster has been integrating with many of the most popular CRM and marketing automation platforms to make the experience of sending custom cards as simple as possible. This way, sending out cards to the right contacts can be entirely automated. If we’re not integrated with your CRM or marketing platform yet, no worries - using Google Sheets with Zapier is a great option. Zapier is a tool to automate tasks between apps. Each automation, which is composed of a trigger and an action, is called a “Zap”. Creating up to five Zaps in Zapier is free. Here’s how it works with Google Sheets. 1. Create your project in Thankster.com. 2. 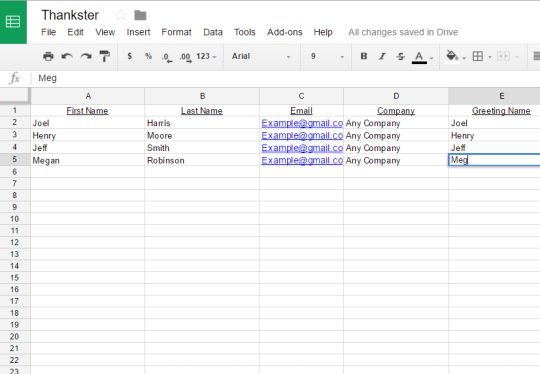 Create your Google Sheet (this will contain info that Zapier is grabbing for Thankster). 3. Use Zapier to connect your Thankster account to your Google Sheet. 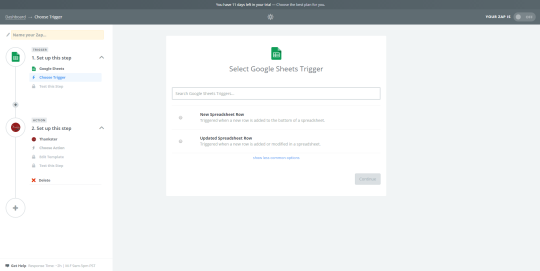 Set Google Sheets as the Trigger and Thankster as the action. All set! Once the zap is live, cards will be automatically mailed when the sheet is updated. Send us an email at integrations@thankster.com, and we’ll get you set up for free.